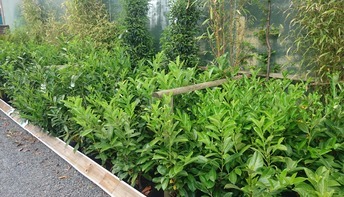 At Olivers Plants we currently have a comprehensive selection of container grown hedging plants such as Laurels, Photinia and Buxus. Available from November to March. 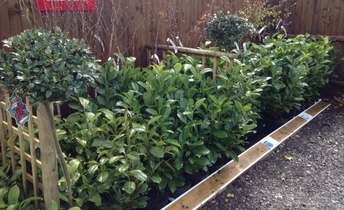 We stock a large selection of evergreen, native and non-native deciduous hedging available as bare root plants. Bare root hedging is the traditional and most cost-effective way of creating a hedge. 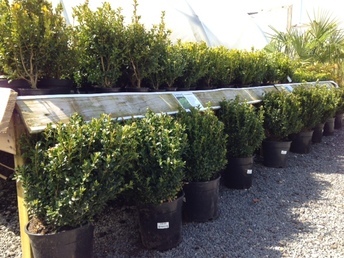 Both formal and informal hedges can be planted from bare root plants. We can also supply support canes and tree guards if required. Please do contact us by telephone or using the form below if you require any advice on hedging plants and which best to plant for your needs.